Do you have a special tree on your property that has been there for generations? Has a storm damaged it or taken it down? Why not give this old friend a second life....by milling it into lumber for a family heirloom. 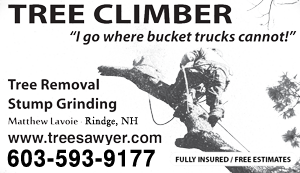 Tree Sawyer has a variety of options for taking a tree and converting it into good usable lumber for furniture, cabinets - anything you can imagine. Boards up to almost 6 feet wide and any thickness are possible! Rough cut boards for barns, sheds, firewood storage, etc is available too. 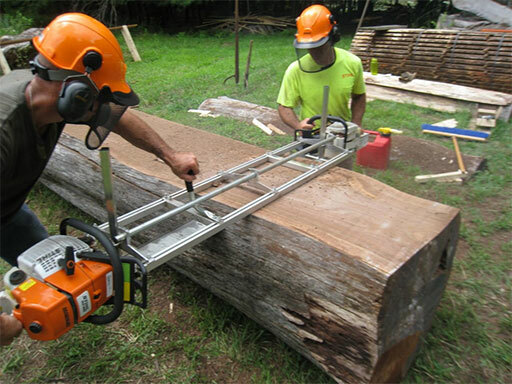 If you are a furniture maker and wish to purchase some custom lumber, we always have logs to saw at our lot. 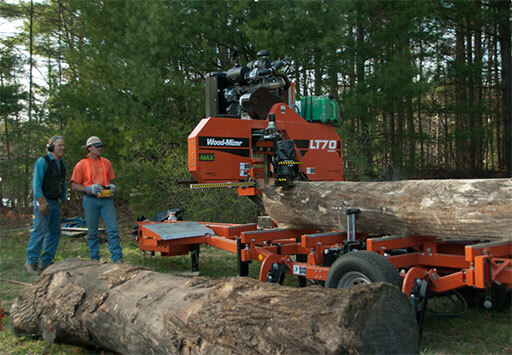 Already dried lumber will become a new feature for 2014 and beyond. If you would like to receive our email newsletter on lumber kindly fill out our contact form and request to be put on our mailing list. 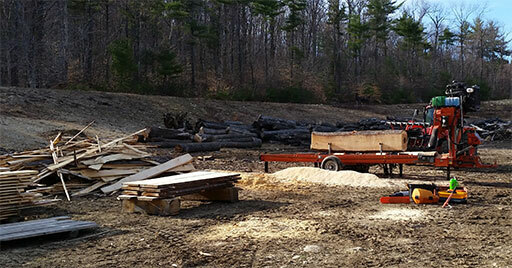 Black Walnut, Cherry, Red Oak, White Oak, Birch, Hickory, Ash, Rock and other Maples, Locust are just some of the locally available hardwoods we find in our area. Logs that are sawn through-and-through are stickered as one log in boule form so that the discerning woodworker can bookmatch his grain patterns perfectly, and be assured of even staining by using boards all from the same tree! This is such a great way to buy your hardwoods compared to picking through the piles at those big box stores. Also, huge slabs with interesting crotch grains will make exciting table and bar tops for you.